Last week’s DDoS attack was a massive, wide-scale shutdown/slowdown of many sites using the DNS provider Dyn, including Twitter, Spotify, Amazon, Netflix and more. That’s no small thing to worry about. As our world increasingly is becoming interconnected, so we are making our lives more and more susceptible to cyber attacks and the security concerns related to them. DDoS Attack: Are they becoming more common? The DDoS attack (or distributed denial of service attack) is becoming more common, especially since Mirai botnet malware source code was made available last month. The malware can be utilized to direct Internet of Things (IoT) smart devices such as DVRs or cameras to direct traffic to the site desired. As we saw last week, this is a wide-scale security concern. The devices of unsuspecting homeowners can be used in a DDoS attack to limit freedom of speech, cause havoc and generally disrupt normal American life. 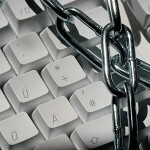 Weak passwords are a big source of the problem in cases such as the recent DDoS attack. But that’s only scratching the surface. What can be done to help alleviate cyber security issues…especially in the business and corporate world? You may not even be aware of all the security vulnerabilities in your office! Obviously, keeping tabs on the latest technology updates is important. But cyber security discussions should prove to be a hot topic in the coming months and years. These are important questions for the next generation and beyond. IMG Group offers solutions for technical surveillance countermeasures and is glad to assist in cybersecurity consulting.